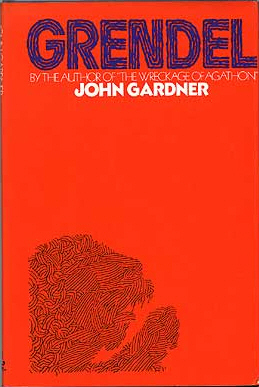 Today’s pick is Grendel, John Gardner‘s 1970/71 masterful retelling of Beowulf. It is really the perfect book for a literature dweeb to pick up for Halloween. So run to your local bookstore and buy your copy now. 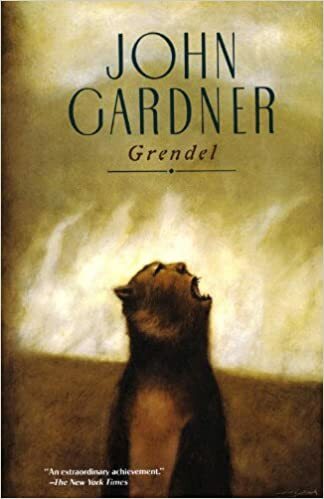 I can’t remember when I first read Grendel. It was probably in high school as an add-on assignment to the more classical book. And although I can still recite the first lines of Beowulf in Old English thanks to Sr. Carola, I can assure you I enjoyed reading the story from the monster’s side much more. Who doesn’t love an existential, self-loathing, monster? Am I right? The novel inspired an animated film (1981’s Grendel, Grendel, Grendel by Alexander Stitt) and a 2006 opera by Elliot Goldenthal. Special props to my nephew John who was kind enough to loan me his gently read copy of the novel so I didn’t have read my 30 year old pocket paperback with its teeny-tiny type and crumbling spine.